The folks at Burton Snowboards think so. 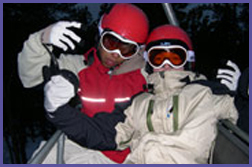 Indeed, they believe that teaching a disadvantaged kid to snowboard can turn a life around. Burton’s Chill Program (www.burton.com/chill.aspx) is an intervention project for at-risk inner-city kids, ages 10 to 18. The program puts these kids on snowboards once a week for six weeks. 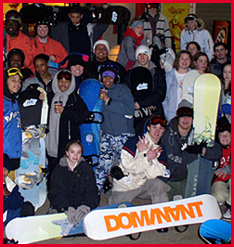 Participants receive lift tickets, instruction, bus transportation and use of gear. Reaching these kids through schools and social service agencies, Chill gets more than 2,500 youngsters involved in 14 North American cities, plus Sydney, Australia. Three participants from each city attend the US Open in March at Stratton. "Groups come up one night a week, a different group each night. The groups average forty kids and ten chaperones," explained Chill national coordinator Jason Hirsch. Some 17 of those students from New York City gathered at Mountain Creek last spring for the program’s first-ever "career day." There, participants met with resort department supervisors, ranging from food and beverage and rental shop to the ski and ride school and park and pipe crew. The employees described their personal backgrounds, their jobs, a typical day on the job, and the qualifications needed to work in their departments. The overriding message? Working at a ski resort is all about a positive, can-do attitude. That sensibility mirrors what Chill kids learn from snowboarding. "Each week, we focus on a different theme, which we discuss on the bus ride to the resort," Hirsch explained. Topics include patience, persistence, responsibility, courage, integrity and pride. "We talk about how to use the themes on the mountain," he continued, "in the gear room and in their lives. And, we use them in an activity during the bus ride home." Snowboarding, per se, doesn’t represent the program’s primary purpose. Personal achievement and determination do. "We use snowboarding as a vehicle for building self confidence, not an end; so you can feel that, if you can do this, you can do anything," Hirsch said. Hirsch introduced a young lady from the Bronx. "Stephanie, to use a snowboarding term, has done a one-eighty with her life," he said. Due to a family tragedy, Stephanie, 18, has been in foster care since age 12. She came to Chill through the Salvation Army Social Services of Greater New York. Before Chill, she said, "I didn’t care if I existed. I believed that I had nothing left to live for. I felt I was nothing, I had nothing and nothing mattered." Now, "I’ve learned how to dedicate myself to tasks, to organize myself and get things done," she said. She’s an honor student ("You should have seen my report card before! "), has learned leadership and to take initiative and, having developed a love of writing, works on the school newspaper. Most importantly, she plans to attend college. Her first choice? The University of Vermont. Why? "They offer snowboarding as a gym class!" Not all Chill kids constitute major social reclamation projects. Many, like Brooklynite Gabby, 15, are functioning well. A student at Art and Design High School, Gabby "didn’t need to do a one-eighty," she said. Nonetheless, she’s gained added confidence from Chill—and an exciting pastime. Each youngster had a different reason for joining Chill, and a different goal from participating. Three young ladies sitting together chorused that they wanted to try something different. They’d seen snowboarding on TV and it "looked cool." Ellie, a 17 year-old from the Bronx, wanted to be sponsored by Burton. "Today’s session was cool," she offered, "because I’d love to be part of the park and pipe crew." 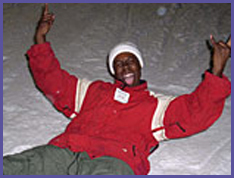 Indeed, the consensus among the career day attendees was simply that: snowboarding is cool. That discovery alone may be enough. But, their sense of accomplishment will likely help to fuel better futures.